What Will Group Health Insurance Look Like in Ten Years? Producers and employers alike are evaluating the current health insurance market to create their health benefits game plan. What does the future of group health insurance look like? While it is impossible to know for sure, trends in employer-sponsored health benefits paint a picture of the future of group health insurance. 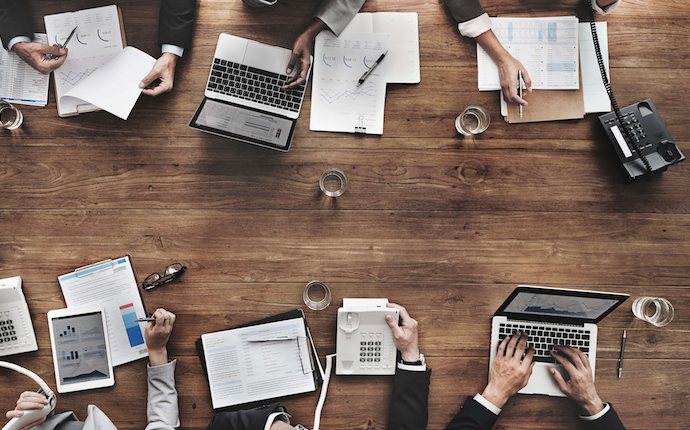 According to a recent employer survey from Towers Watson (TW) and the National Business Group on Health (NBGH), as many as three in four employers expressed uncertainty about providing health benefits to their workers in 2024. Over the last couple of years, employers' confidence has been at record lows. This lack of confidence reflects the uncertainty in the health insurance market among employers. There is a major shift in employer-sponsored group health insurance on the horizon. “While U.S. employers remain committed to health care benefits for active employees over the next five years, they are redefining their financial commitment in the short-run and are more reluctant to commit to coverage for employees." These findings parallel TW/NBGH's 2012 report that found while employers plan to drop group health insurance, they do not plan to drop health benefits all together. Instead, they are looking to alternative ways to offer financial assistance toward health insurance coverage -- at a sustainable cost. Employers are feeling the pain of both the ACA and the economy. According to the 2013 TW/NBGH report, 40% of employers cite the ACA as the number one reason for their uncertainty, with 32% of respondents citing business performance and the economy as cause for uncertainty. There’s also a growing sentiment that health insurance is an individual’s responsibility - not an employer’s. This shift was also seen in the retirement sector, as employers shifted away from pensions (an employer-driven defined benefit) to 401(k)s (an employee-driven defined contribution). Many economists forecast a similar shift in employer-sponsored health benefits from group health insurance (a defined benefit) to defined contribution health plans (source). After plan changes, average employer health care costs were expected to reach $9,248 in 2013, up 5.1% from $8,799 in 2012. This is the lowest increase in 15 years and down slightly from a 5.2% increase in 2012. 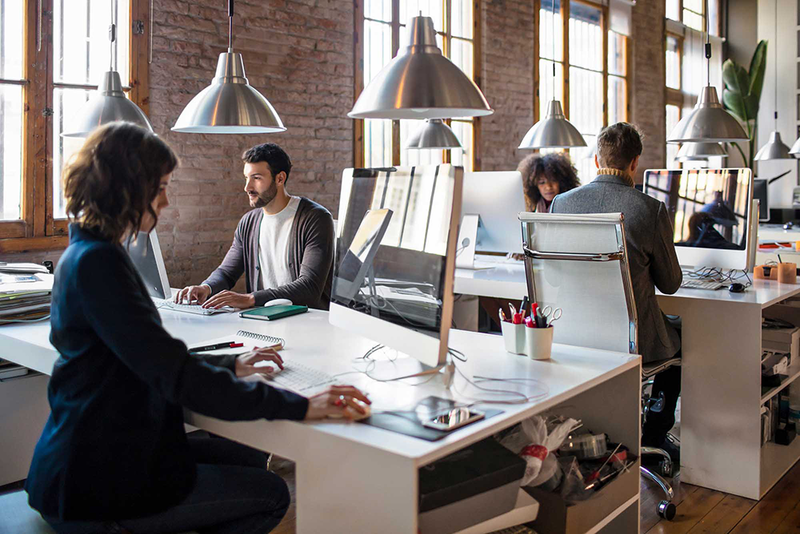 Employers are controlling costs by shifting cost-sharing to employees and adopting technology and wellness programs to create a healthier workforce. The report anticipates even more profound change as employers recalibrate strategies and take aggressive action to address the 2018 excise tax. Nearly all respondents (92%) anticipate at least modest changes in the health insurance market over the next five years, and nearly half expect significant changes (44%) or a complete transformation (3%). Rising employee costs impact affordability and value of benefits. The total employee cost share, including premiums and out-of-pocket costs, has increased from about 34% in 2011 to 37% in 2013. At the same time, annual salary increases have averaged only 1.6% over the last three years. Employers are redefining their contribution strategy. Over the last three years, more than 70% of companies increased employee share or premium contributions, with dependent coverage costs increasing at a higher rate than single coverage. Account-based health plans (ABHPs) are gaining momentum, especially in light of the 2018 excise tax. In 2013, 66% of companies have an ABHP in place, and another 13% expect to add one by 2014. Total-replacement ABHPs are also on the rise. Nearly 15% of respondents with an ABHP use a total-replacement ABHP, up from 7.6% in 2010. Employers have a strong commitment to subsidizing health insurance, with 85% of companies saying contributing to employees' health care coverage is important over the next five years. 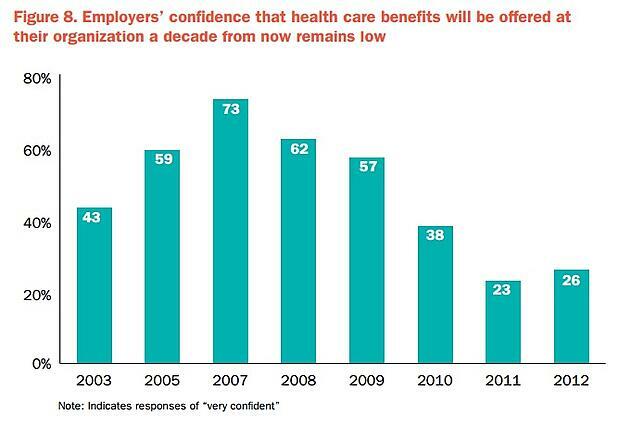 However, only 26% of companies have the same confidence they will continue to offer health care benefits in 10 years. In 2013, only 15% of companies surveyed offer retiree health benefits to new employees. 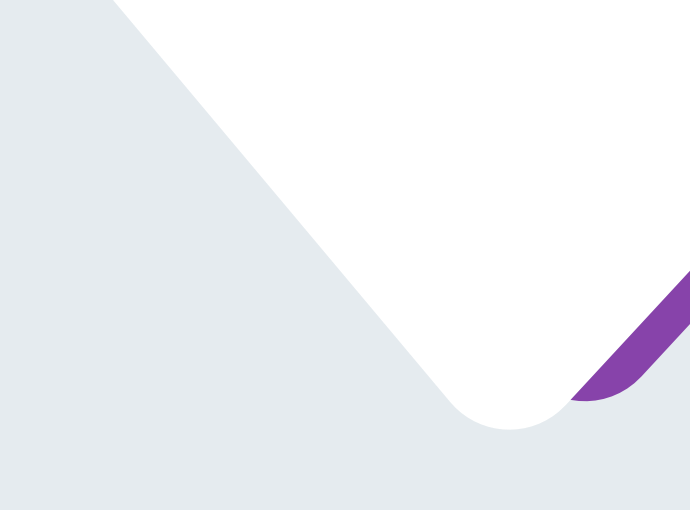 Those that continue to offer financial commitment are increasingly shifting to account-based designs such as retiree Health Reimbursement Arrangements (HRAs). Nearly two thirds of companies surveyed said they offer employees and their spouses financial rewards to encourage participation in health management programs. 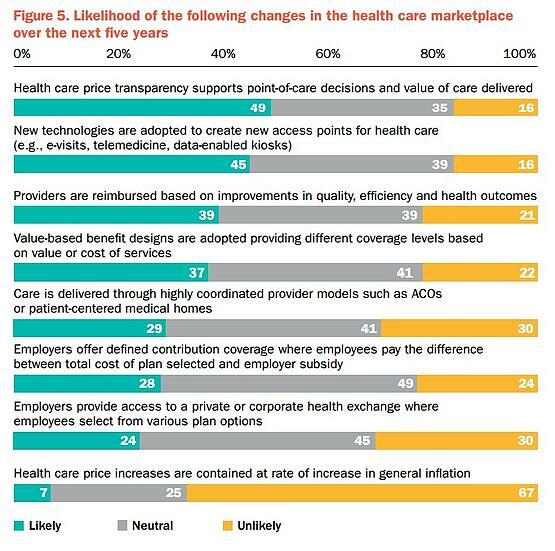 Another 31% say they are considering this approach for 2014.
employee on health care, which equates to a collective $103 billion in total health care expenditures. What do you think group health insurance will look like in ten years?